I've been keeping a little secret! 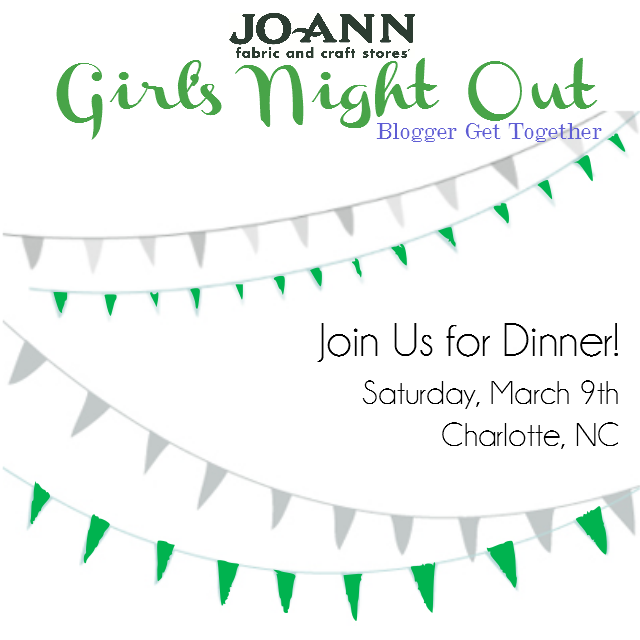 I am honored to attend the next Girl's Night Out! I've been giddy with excitement at getting to meet fellow seamstress blogger friends! Never in a million years did I think that blogging -of all things- would be a tool that would carry me places, and it's just getting started! There was such an outcry for more Blogger Get Together's after the Girl's Night Out Dinner in Salt Lake City this past October, that they decided to take it on the road. 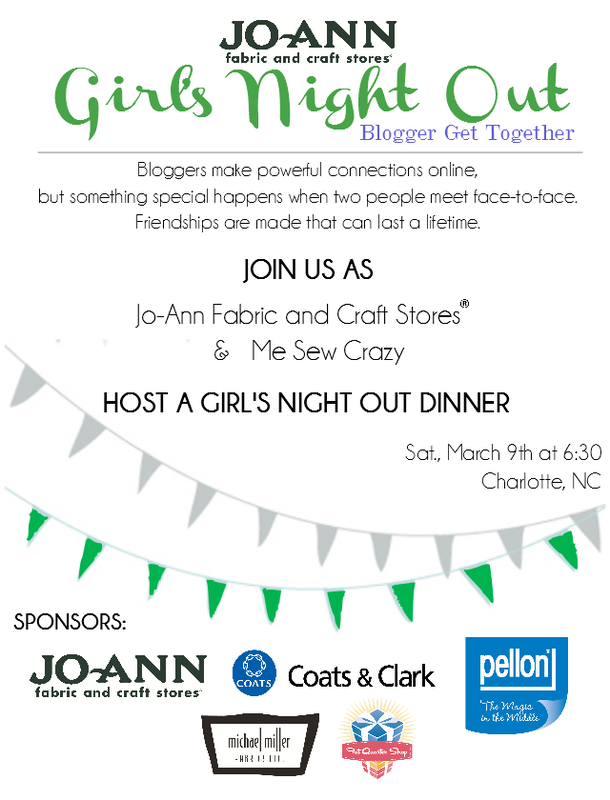 Bringing the Girl's Night Out Event to a city near you! 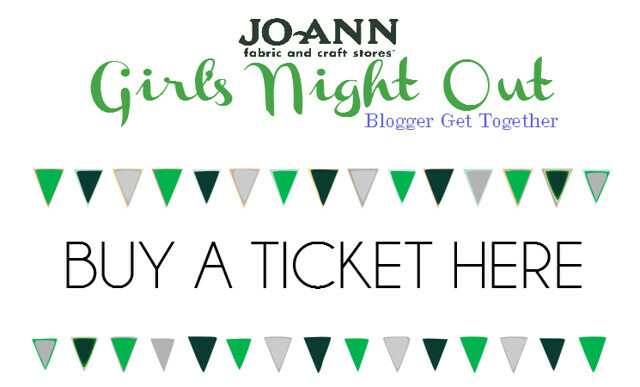 What: Jo-Ann Fabric & Craft Stores Girl's Night Out Blogger Get Together is an event where online friends can gather in an intimate setting to meet, laugh, and share their passion for sewing over dinner. Knitting together the sewing community in a more personal and binding way. Now you can come too! Join us for dinner, laughs, and lots of goodies and swag as we bond over sewing and our love for the art. Meeting fellow bloggers in your area! But act fast, as there is a very limited number of tickets available!!! Click here to purchase your ticket. We would love to meet you!